See how strong I am? Strength and Cooperation. Learning and playing together through self discovery. Is there anything better? When you ask a child: who thinks they're strong? you will without a doubt be faced with the smallest line up to the Mr/Mrs Universe contest, as they flex their muscles and faces in a visual show of their perceived abilities. Last week, we moved on from the Big Play activity where we learnt about safe movement over (and off!) our logs and larger play resources. Discussions that week looked at how how our activities linked with our health and how we exercise, so I felt a natural progression would be to look at strength but also the concept of weight. 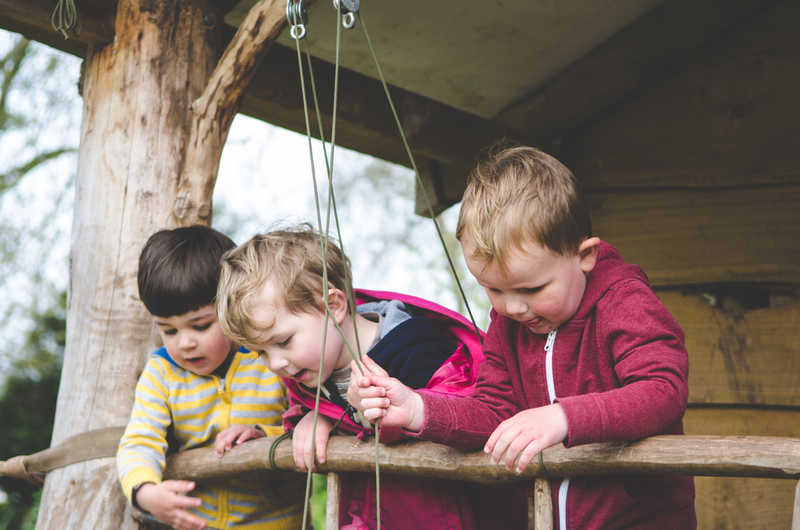 I planned to explore ways we might be considered strong, be it emotionally or mentally, but for our Forest School purposes we were going to be looking primarily at physical strength, as well as how much the children understood by the term weight. 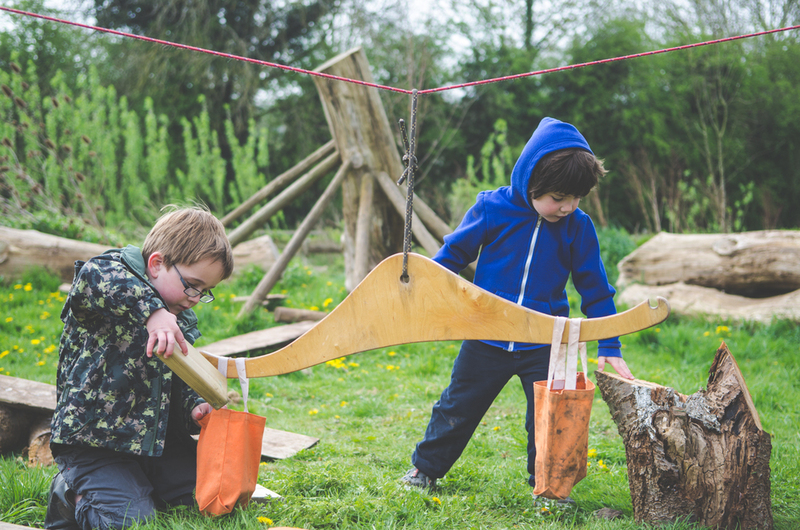 Forest School is a fantastic way of boosting the physical development and strength of children. It is an inherently active experience and is not only an ideal cardiovascular exercise but also perfect at building up a child's stamina and core strength. 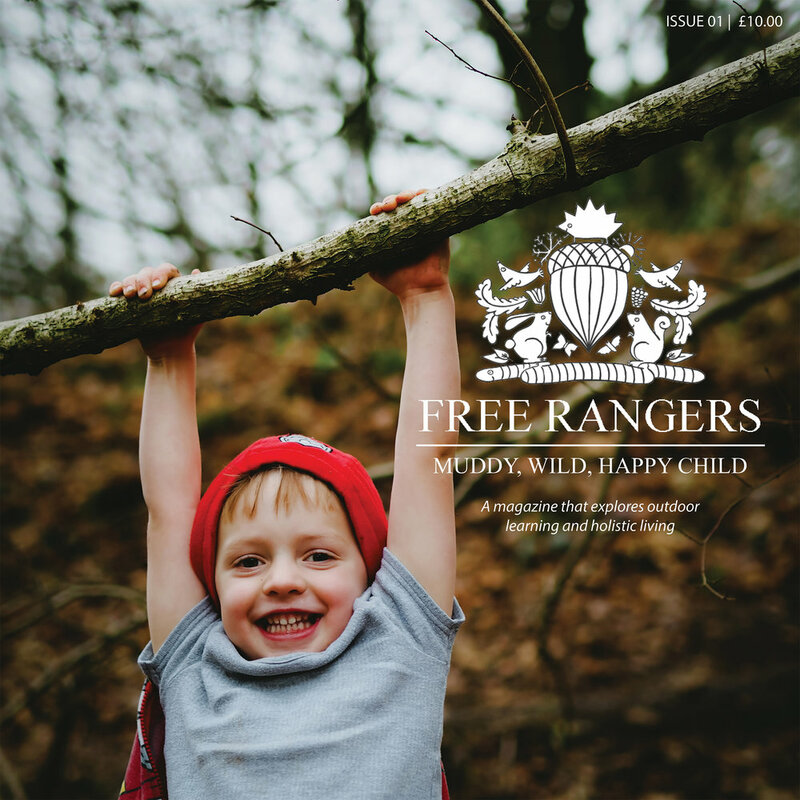 At Free Rangers, the children are tasked to plenty of climbing, balancing and jumping, but there isn't much opportunity for lifting or pulling, especially something weighty. So once we had recapped on the previous weeks swinging and being safe and healthy, we looked at what the children thought being strong enabled you to do and whether they thought they were strong. Most jumped to the obvious: you can lift heavy things and "Of course I'm strong! Have you seen these muscles?!" What was less obvious was what they thought they could lift, or rather perceptions of their own strength, and how they conceived weight. Their Paddock was set up with a variety of resources, including different pieces of wood, both large and small, ropes for pulling/dragging, extra pulleys, chains and bungie cords with hooks, a see-saw and a set of scales. I purposely set up one pulley system with double ropes attached to the handles of a bucket which required two willing participants to use for those extra heavy loads others the contents would usually topple out. In fact the majority of the resources were designed with a more cooperative 'many-hands-make-light-work' setup. The children could load the blocks from the ground into the buckets and then heave them upwards. Here the children's own risk assessment came into force as they thought carefully about who has below them before releasing the buckets downwards with a crash, reinforcing clear communication, and managing risks. Furthermore we had a second pulley set up in the tree where we had the swing the previous week. This was so several children could attempt to lift some of the more heavy loads (along with me at one point...) with the help of their friends. 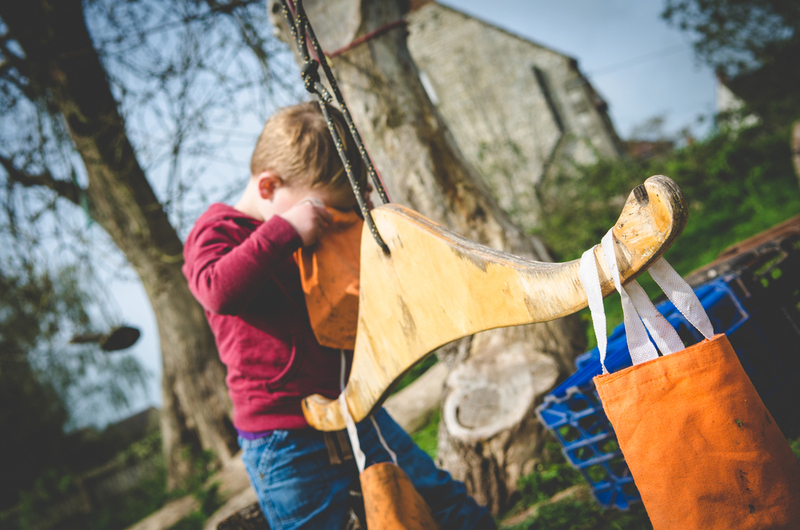 An old trolley was brought into the activity mix too, and the children stacked up the blocks in an attempt to pull as heavier a load as possible, including the children, although I feel a few opted to be pulled a little too readily! It also was the source of quite a few comedic moments as the children who opted to drag the trolley backwards inevitably ended up falling over a log/child/stump due to their forward facing focus! The children employed different techniques of lifting and overcoming the problem of "how do I empty the bucket without letting go of the rope?!" So it was great to see the children cooperating across the week to overcome problems, but more importantly to ask each other for help. The weight element saw some good focus as the children placed different weighted objects in and discussed the resulting actions. Stones, wooden blocks, mud, grass and flowers all ended up inside the orange bags. Asking questions like: "Why has that side gone down?" and "what do you think will happen if you removed this?" helped in aiding the children's understanding of what was happening to the opposing sides as the weight changed. One child I asked stated a bag full of dandelions was going to be heavier than the stone because it was "full up! ", so it was some super deep-level learning happened throughout the week. The same could be said for See-Saw which saw lots of interesting play, as they figured out who was heavier, as well as how many children does Red Fox weigh! How many children does it take to move Red Fox up into the air? 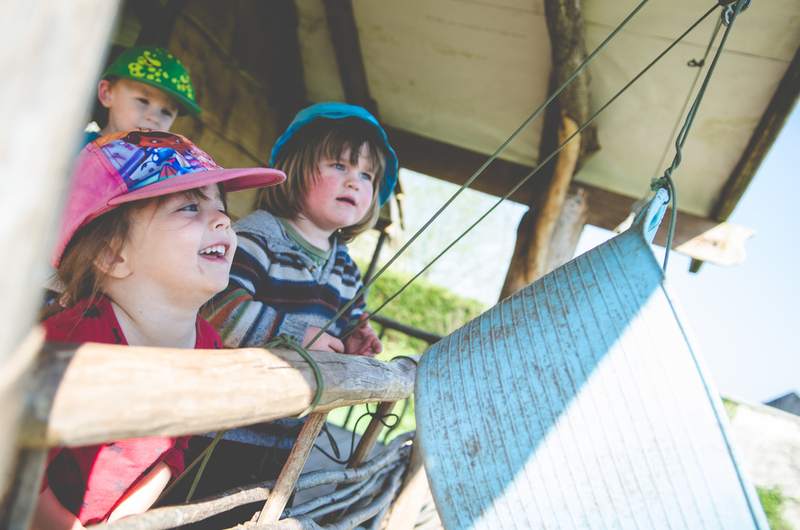 We witnessed some excellent role-play from the children, as they used the pulley systems to bring building materials up to the Tree House, and made deliveries with the trolley. Others opted to take the resources and create adventure/rescue scenarios too. What was interesting, was watching the children flex their mental strength during this week too as there was some serious logic, reasoning and problem solving being completed trying to figure out how to get the ropes over certain beams, why the trolley wouldn't move and the right knots to secure the loads. It was super seeing the trial and error processes of much of the what the children were doing, as well as the heavy things they were trying to lift. Well done my little bodybuilders! As always thanks for reading, enjoy the photos and do leave a comment below if you would like to share your experiences.